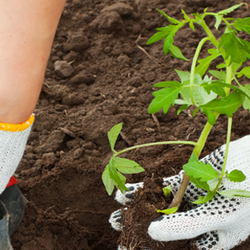 Don't be afraid of your roots when transplanting your seedlings or larger container plants. Time for transplanting and scared of dealing with the roots? That’s okay. Roots are a little like babies. They are delicate and need to be handled with care, and there are plenty of myths and mistruths available on what exactly that care needs to be. Here are some tips on how you can handle your roots during transplantation to ensure that they are ready to get into the soil without causing damage. When you take your plant out of the old planter or plastic container it had been in to transplant it into a larger planter or outside, you’ll notice that the roots are all balled up. To get the best results, you’ll want to help the roots expand a bit more. You don’t want to be rough with the roots as too much damage to them can result in transplant shock or death. That can be scary for some gardeners, and they may avoid touching the roots during a transplant. It’s all about being gentle and taking your time, especially if you’re transplanting seedlings. You’ll want to gently touch the roots and the dirt surrounding them to lightly loosen them up so they aren’t tightly bound together. Think of it as you’re fluffing up a pillow. Each individual root doesn’t have to be separated out. Going that far into teasing out the bundle of roots will probably damage them. You want them to be a little spread out to help give them a headstart into getting established in their new growing environment, but don’t feel as though you need to get it really fluffed up. 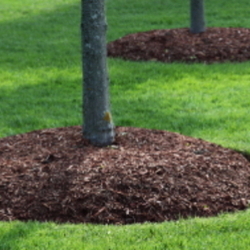 When it comes to transplanting shrubs and trees, you may need to manipulate the roots before planting if they had been previously in a container. You’ll want to do this by cutting the roots with a sharp instrument rather than a dull one. A sharp spade, handsaw, or knife are best to use. A plant grown in a container has all of its roots compared to a burlapped or bare root ball tree or shrub. This fact means that it’s better equipped to handle some of the roots being cut compared to a plant that’s been removed from the soil and may already be missing part of its root system. Roots that are cut using a sharp implement have been shown in studies to grow back and become established in the soil easier once transplanted. If you’ve damaged the roots during the transplant, you can remove some of the top growth to help the plant conserve resources. Taking off the top foliage will safely reduce the size of the plant, and help to reduce the amount of energy it needs to grow. Doing this will give the roots a chance to expand and grow out more while supporting the smaller plant. The plant will grow at the same time as the roots giving it time to catch up. This tip doesn’t work for tomato plants, however. With tomato plants, this action will stifle the growth and may prevent your tomato from growing fully over the growing season. Water the plants that you’re transplanting. It can be vital for your plants to survive being transplanted to get watered often. You’ll want the plants that you’re moving to be moist before removing them from the container. Once your plants are in place, you’ll want to water them again to help them recover from the stressful process. You’ll want to continue watering your transplants often to keep them healthy after the transplant. Keep in mind the type of plant though, as a vegetable transplant will need more water than a cactus. Your transplant can benefit from some nutrients after you’ve added it to its new home. Epsom salts can be one option for giving the roots some assistance in growing strong in the soil. Both potassium and phosphorus are nutrients that help to encourage roots to spread and strengthen within the soil. 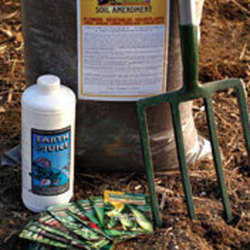 Just be sure that when you add your chosen fertilizer to follow the instructions carefully on the bottle along with not putting it too close to the roots or the transplanted plant. You wouldn’t want the plant to suffer from burns to it from the fertilizer. Some gardeners like to add an egg or eggshells to the hole before adding the transplant. Don’t be shy when it comes to your roots. It can be a delicate balance to get the roots fluffed out without damaging the plant, but you can do it. Transplants with roots that have some space in them will do better than roots that are cramped together in a small space. Following these plant transplant tips will make it possible for you to work on reducing the stress that gets placed on your plants during this time.